Pears are said to have more nutrients per calorie than calorie per nutrient. They are an excellent source of dietary fiber, are rich in vitamins and minerals and can be beneficial in cancer prevention, can lower age-related macular degeneration and help reduce risk of breast cancer, heart disease, and type 2 diabetes. The skin contains boron, which helps our bodies retain calcium. Quercetin, also found in the skin, can help reduce blood pressure. Pears are a member of the rose (Rosaceae) family of plants, which includes apples, cherries, peaches, plums, raspberries, strawberries as well as roses. They are sweet, juicy and perfect for use in cocktails as a puree, juice and edible garnish and, if you're looking for a way to make happy hour more healthy, pears are definitely a great way to do that. 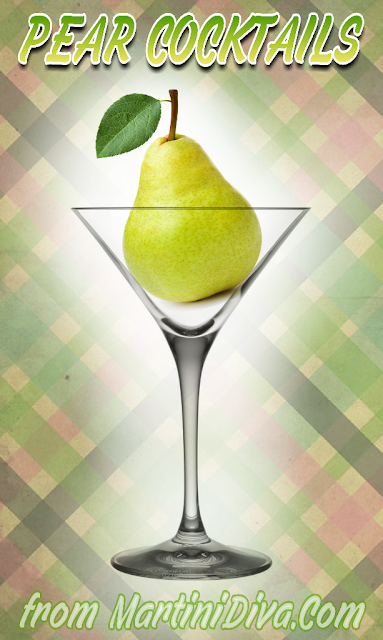 December is National Pear Month and National Pear Day is October 25th.